Actor Vikram’s role in Thandavam is out! Actor Amitabh Bachchan in Tamil film? Prabhu Deva has all the reasons to celebrate. After giving an awesome performance at the IPL opening, the dancing legend organised a big birthday bash for his close friends from the industry. The party was at his palatial house and the guest list included A- listers from the industry. It's believed that everyone let their hair down and had a rollicking time as Prabhu Deva played a gracious host. Khushbu Sundar who was at this starry bash couldn't stop raving about it. She also added: "It's at very few places you can be yourself. Vishal, Trisha, Vijay, Suriya ,Jeyam Ravi , Harris Jayaraj , director Shankar , Gautam Menon , Devi Sri Prasad, Vijay Antony were there too". Simbhu is currently busy in the works of the film 'Vettai Mannan', 'Poda Podi' and 'Vada Chennai'. 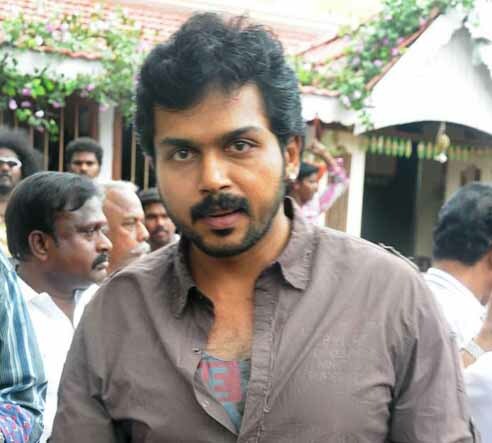 He is to fly to Macau for shooting of a song in 'Poda Podi'. Later, he may take off to Brazil to finish the remaining portions of 'Vettai Mannan'. Amidst all these things, there is news that, Simbhu is teaming up with Santhanam and Nic Arts one more time. Already he is doing 'Vettai Mannan' for S.S.Chakravarthy's Nic Arts. In this situation, Simbhu seems to be getting ready to do another project for Nic Arts. There is one more special aspect for this film. Simbhu and Santhanam will be acting together after quite some time. 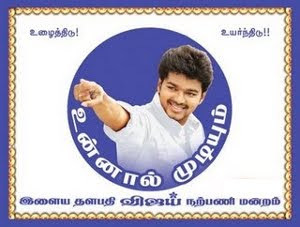 This movie is to be directed by Debutant Vijay, who has earlier worked as Assistant Director under Amma Rajasekar. This project is titled as 'Vaalu' and Thaman would be scoring the Music for it. It is a comedy mixed action film. The search for the Heroine is on. The details of the other cast and crew would be announced as and when they are finalized. Shruti Hassan is riding high on the success of her recent release 3. The film that is released simultaneously in Tamil and Telugu has gained her incredible laurels. The actress is also actively taking part in the promotional campaigns of this film. As a part of this film, she will be taking part as special celebrity in Vijay TV's Neengalum Vellalaam Oru Kodi tomorrow (Tuesday) night at 8 p.m. The same pattern was followed in Hindi where special celebrities take part in the show to promote their movies. It is worth mentioning that Suriya and Shruti Hassan stole the show with their mesmerizing performance in A R Murugadoss' 7Aam Arivu. The audio launch of Naan Ee starring Nani and Samantha was launched yesterday (April 1) at Sathyam Cinemas. The event witnessed coming together of several celebrities including director Bala, Suriya and Karthi.Speaking on the occasion, Suriya said that filmmaker SS Rajamouli has done a tremendous job in all his movies and this movie is going to be a big hit. Karthi on his turn said, "It nearly took 6 months to work on the remake of Vikramakudu for the script. Rajmouli's movies are so inspiring and they're always excellently entertaining." Naan Ee is a bilingual movie that will be simultaneously released in Tamil and Telugu titled Eega. Kannada Superstar Sudeep is playing negative role in this flick. Vikram's role in Thandavam is out. Yes, he plays a police officer in this film. Though it is not new to see the star as a police officer, in this film he will be seen sporting different outfits other than the police uniform. Vikram has been seen as a police officer in a couple of films before but for Thandavam, director A Vijay has planned it out differently. His co-star in the film, Tollywood star Jagapathy Babu, also essays the role of a police officer, we hear. The first look of Thandavam has been released amidst much expectations and we are able to decipher that it is going to be a different storyline altogether. Mani Ratnam's much-talked Kadal has been in the news for one or the other reasons from the day it hit the floors. The latest to hear about the film is that Gemini Films has procured the theatrical rights of the upcoming Tamil movie for a record price. If reports are to be believed, Gemini Films has acquired the rights for mammoth Rs 25 crore on a first copy basis. As the bosses of distribution felt that the film would generate the revenue, they decided to pay the whopping amount for the rights, adds a report. Kadal features actor Karthik's son Gautham and hot and happening Samantha. Arjun Sarja, Arvind Swamy and Lakshmi Manchu are also playing important roles in the forthcoming Tamil movie. 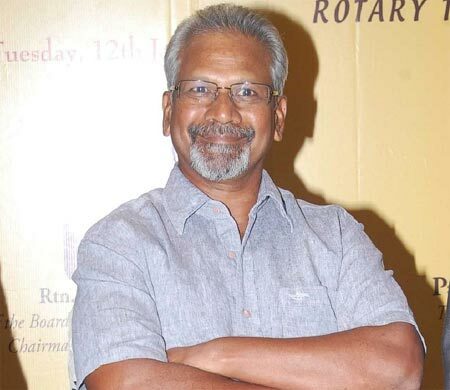 Mani Ratnam's trusted men AR Rahman and Rajeev Menon are handling the music and cinematography department, respectively. Vijay's Thupaki might be in the shooting stage, but that has not stopped director AR Murugadoss, who has been thinking to start his second Bollywood film, from planning the Hindi version of his upcoming Tamil movie. 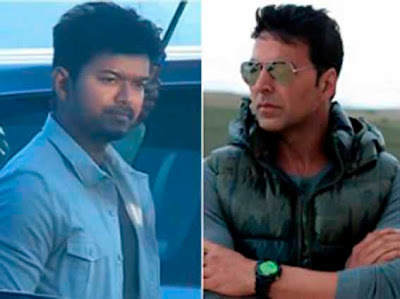 Well, the filmmaker has reportedly convinced Akshay Kumar to star in the remake of Vijay starrer film. The buzz is that AR Murugadoss approached Akshay Kumar recently and took his nod to act in the Hindi version of Thupaki. It is said that the Bollywood actor believed that as the story is set in Mumbai backdrop, it could work in Bollywood too. As far as the female lead is concerned, the filmmaker wants Katrina Kaif to pair up with Akki. Meanwhile, AR Murugadoss has completed 60% of the shooting of Thupaki, which features Vijay and Kajal Aggarwal in the leads. The upcoming Tamil movie is expected to hit screens in August. Balakrishnan, the director of Mudhalvar Mahatma which was released recently is all set to move on to his next project. Mudhalvar Mahatma had Anupam Kher in a pivotal role and music by Ilaiyaraja. Activist Anna Hazare himself expressed an interest in the film and watched a special screening of it. Now Balakrishnan wants to make a film on the India - Pakistan divide. 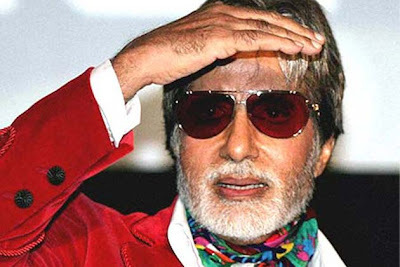 He has approached Amitabh Bachchan for the role and apparently the Bollywood superstar is interested in the script and might give the green light for this project. Balakrishnan is keeping his fingers crossed.